Was born in Germany to globe-trotting expatriates and raised in Africa and Asia. Louis jokingly blames his mother Therese for his fascination with collecting the finest and often exotic antiquities and art objects. Therese's motto has always been "if you love it, buy it, then figure out where to put it..."
After more than 22 years as a corporate executive living in China, Singapore, Indonesia, Australia and the UK and traveling for business and pleasure to more than 45 countries, Louis decided to leave it all behind and pursue his dreams and passion, trading in the hustle and bustle and glass towers of all the major cities, for a more fulfilling life in the picturesque tranquility of Northwest Connecticut. 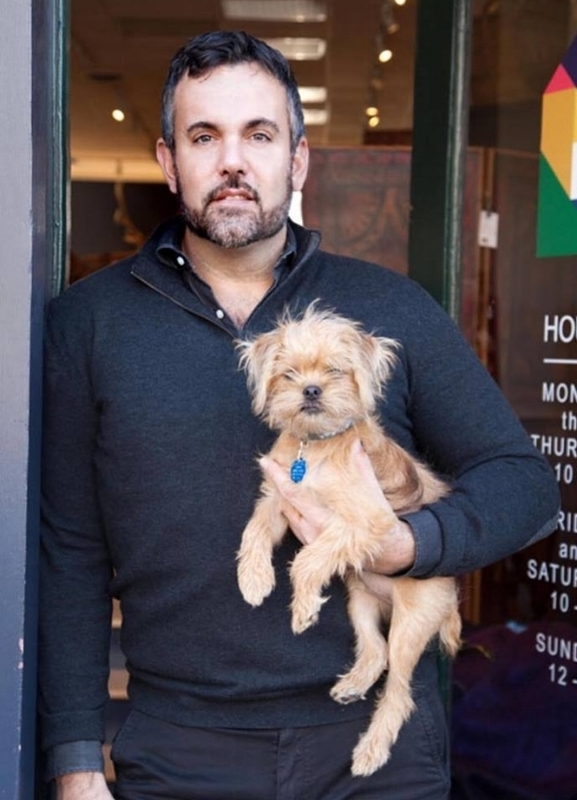 Tapping into his undeniable love of quality craftsmanship, Louis opened BluePrint CT, a design and lifestyle shop located in Bantam, Connecticut, offering a curated collection of textiles, furniture, ceramics, glass and one-of-a-kind design elements. A blueprint is an illustration of a well-thought-out plan and Louis features the finest artisan wares from near and as far as Burma, Indonesia, China, Turkey, Australia, France and the UK. Of-the-moment products to avant-garde pieces blend seamlessly with hand-selected vintage treasures collected over the last 30 years, each possessing intriguing provenance and vintage charm.